Carter’s black full quill boot is all about class. Dressed up for a night out or a day at the office, this pair will look as good as you. The low heel won’t wear you out walking but keeps a classic western look. 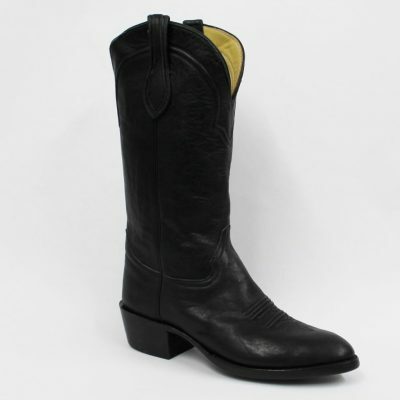 This boot is a great addition to any man’s formal and casual wear. We stock this boot in a “D” width. If you don’t see your width or size, please give our customer service a call.